The 2030 Agenda for Sustainable Development, adopted by the United Nations in September last year, is a "plan of action for people, planet and prosperity". High on the agenda is addressing the impact of climate change. Droughts and floods are expected to become more frequent and intensive, with the potential to disrupt a country's economic and social fabric. Singapore has a strong record of preparing for change, and looks well into the future for development planning. On climate change, its ambitious Climate Action Plan aims at a 36 per cent reduction of emissions from 2005 levels, stabilising them by 2030. The objectives to improve energy efficiency in power generation, industry, buildings, transport, household, waste and water are very comprehensive. Examples include low-carbon technologies, new waste-to-energy plants that will optimise resource and energy recovery, better protection of coastal areas in the long term, fire probability index, impact of higher temperatures and strong winds on buildings, and innovative underground drainage and reservoir system. Since the industry sector is responsible for 50 per cent of the emissions in the city state, plans include improving its energy efficiency by 1-2 per cent per year between 2020 and 2030. The Government has also developed a "whole-of-government" strategy that will focus on coastal protection, managing water supply and improving food supply resilience. Overall, the plan seeks to reduce long-term emissions, build capabilities for adaptation, develop opportunities for green growth and establish partnerships for implementation purposes. Partnerships are essential as without participation of the public and private sectors and the population as a whole, no initiative would ever become reality. 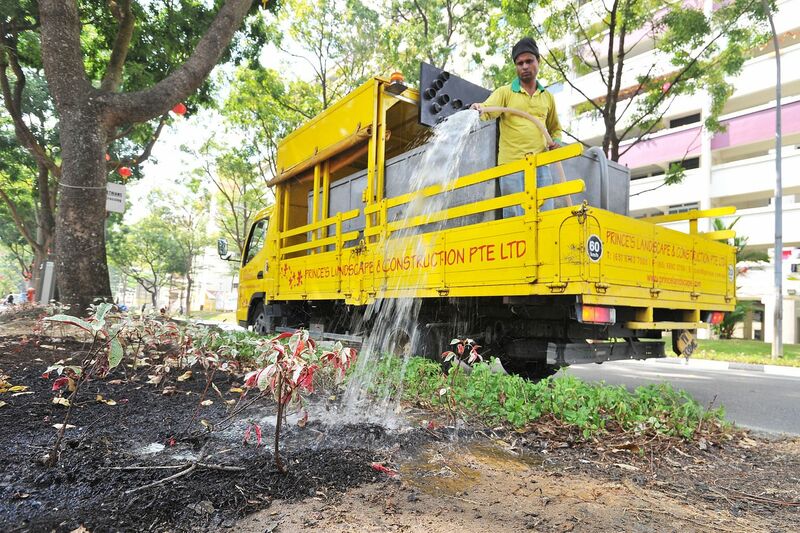 However, Singapore's people sector still has a long way to go on water conservation. Singapore's per capita daily water consumption is one of the lowest in Asia, but is significantly higher than many cities in western Europe. Last year, after eight years of declines, daily water consumption increased from 150 litres to 151 litres. One litre per person a day may not seem much, but it equates to a daily increase of 5.5 million litres. In contrast, in Europe, daily average consumption per person in Denmark as a whole is less than 110 litres, as is the case in Hamburg and Leipzig in Germany, and Tallinn in Estonia. Water conservation is especially relevant in times of scarcity. In Spain, for example, water conservation efforts were triggered by serious droughts from the 1980s. At present, cities like Madrid, Seville, Barcelona and Zaragoza have achieved a significant reduction in their daily use. Consumption of water per capita per day is 128 litres, 113 litres, 102 litres and 96 litres respectively. A point to note is that in all cases, water conservation strategies have included an increase in prices. For example, in Zaragoza, tariffs increased by 56.31 per cent between 2002 and 2016. Public response in Australia during, and after, the so-called "Millennium Drought" has also been positive. In Sydney, per-capita water consumption decreased by 35 per cent. It is reported that the city uses less water in total at present compared with 30 years ago, even with two million more people. Experiences in California during the ongoing five-year extreme drought have been mixed. According to the State Water Resources Control Board, in the 12 months to June this year, 2.4 billion cu m of water was saved, "enough water to supply 10 million people for a year". However, when comparing August this year with August the previous year , it was found that water savings declined to 17.7 per cent from 27 per cent the previous year, raising concerns again on public engagement. In Singapore, the public still has to embrace water conservation and adopt new practices, not only during normal times, but also during drought conditions. According to the American Meteorological Society, in Singapore, there were 40 days with less than 1mm of rain in January-February 2005, 42 days in the same period in 2009, and 62 days between Jan 13 and March 15, 2014, the longest and driest period from 1929 when official records started. During the dry period in 2014, daily water consumption was reported to have increased by 5 per cent. The solution does not depend on prices, which have not increased from the year 2000, but on a change in societal behaviour, education and awareness. In 2015-2016, a prolonged drought in Johor also affected one of the sources of water for the city state. Of especial concern has been that water levels in the Linggiu Reservoir dropped to 36.9 per cent, a historic low. Impacts of climate change, dry periods in Singapore, and prolonged droughts in Johor seem to be becoming the norm rather than the exception. The question is whether the public in the city state is ready to confront the challenges of achieving resilience by changing behaviour and reduce water consumption. Plans in Singapore are to reduce water consumption to 147 litres per person by 2020 and 140 litres by 2030. This will be achieved only with more emphasis on water demand management and social awareness, education and behavioural changes, issues on which the public has a major role to play. It is not about pricing alone. It is about the understanding of the importance of water conservation for the resilience of the city state and society as a whole. The writer is a senior research fellow at the Institute of Water Policy, Lee Kuan Yew School of Public Policy, National University of Singapore; and editor-in-chief of the International Journal Of Water Resources Development.